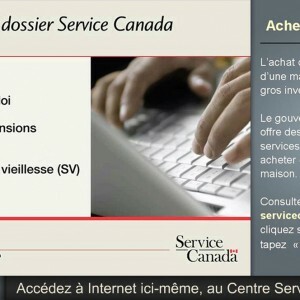 Service Canada is the organization Canadians turn to—online, by telephone or in person—for access to programs and services delivered by the Government of Canada and its many partners. 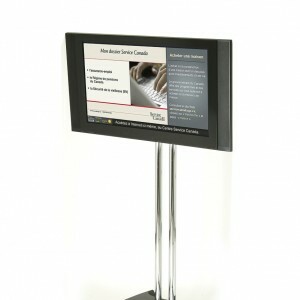 Service Canada wanted to launch a digital signage solution to inform clients in all its service points across the country. The solution had to be mobile and standalone at all points. M'Pact rolled out a standalone solution on a mobile stand in more than 150 sites in less than three months. For security reasons, this solution uses a cellular network operated by M'Pact that is totally separate from the Service Canada network. Finally, the solution provides various templates for producing messages efficiently while maintaining the Service Canada image. 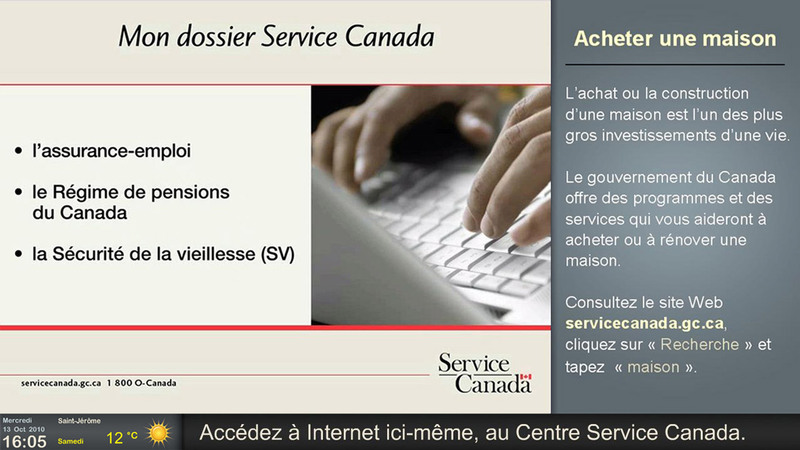 The solution implemented by M'Pact helped Service Canada modernize and improve its communications in its various centres. This centrally managed solution lets Service Canada react and inform clients in just minutes across all its centres. 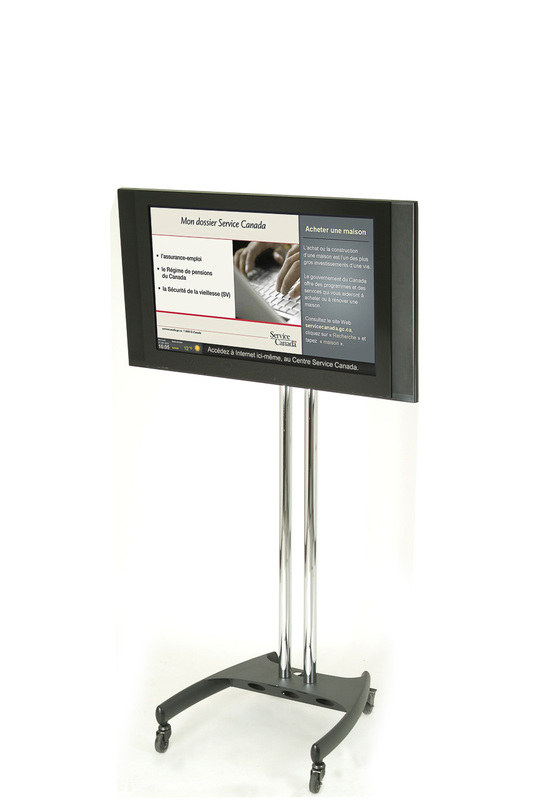 Effective screen placement, the bilingual capacity of the solution and ease of generating messages allow Service Canada to reach as many clients as possible while disseminating current, relevant information.